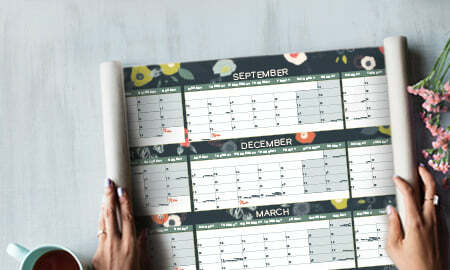 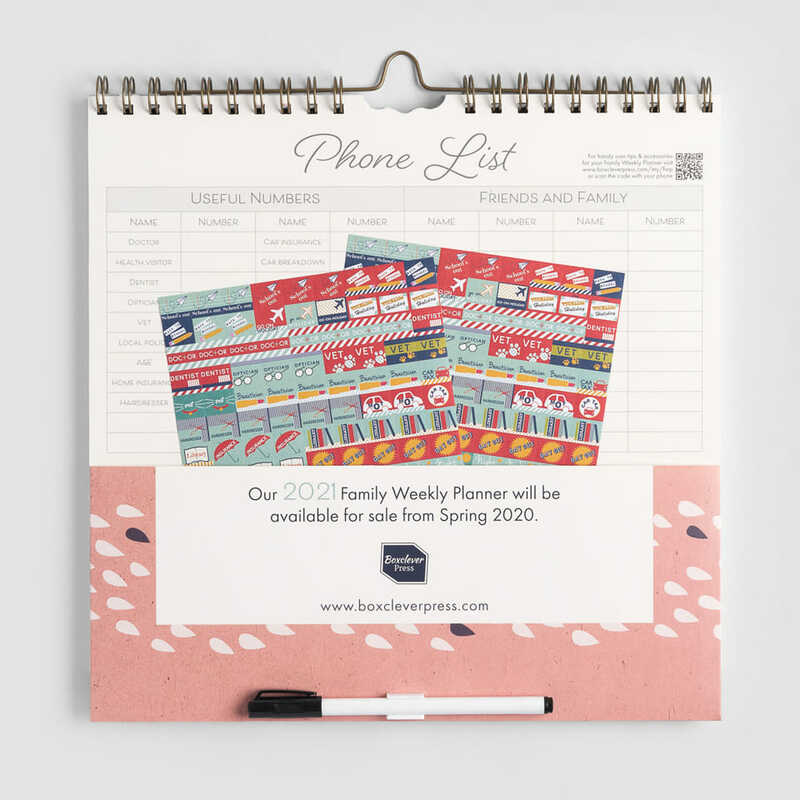 The 2019 - 2020 Family Weekly Planner is a 16-month week-to-view calendar offering spacious planning and a six-column layout for the whole family's activities. 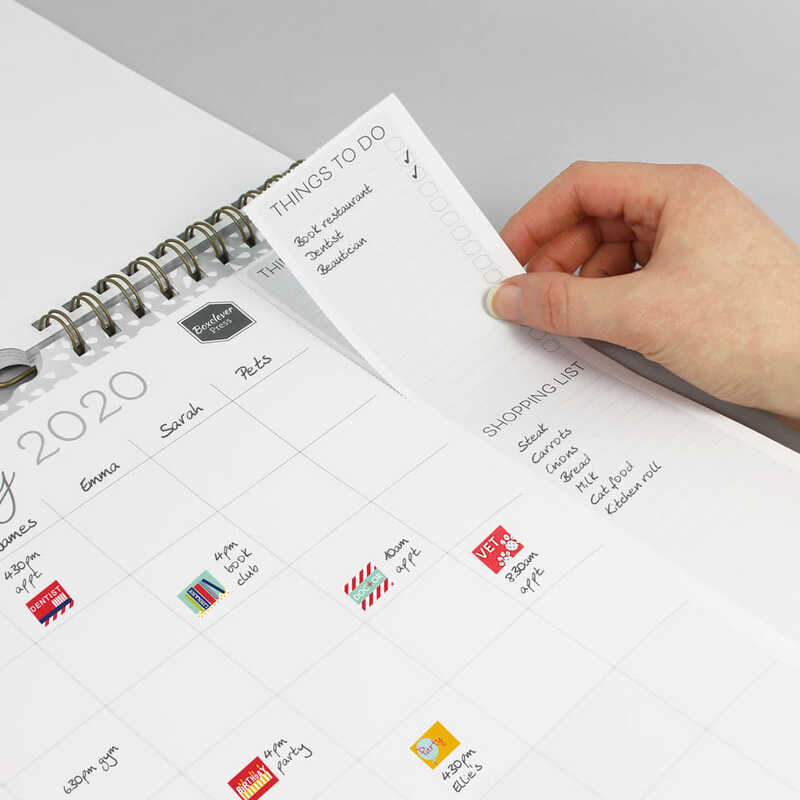 Large, daily boxes make managing multiple schedules simple. 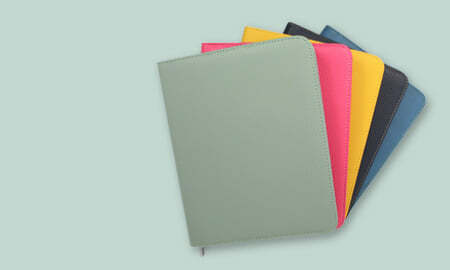 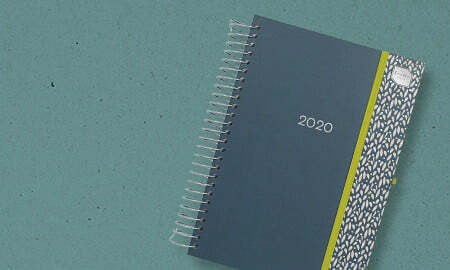 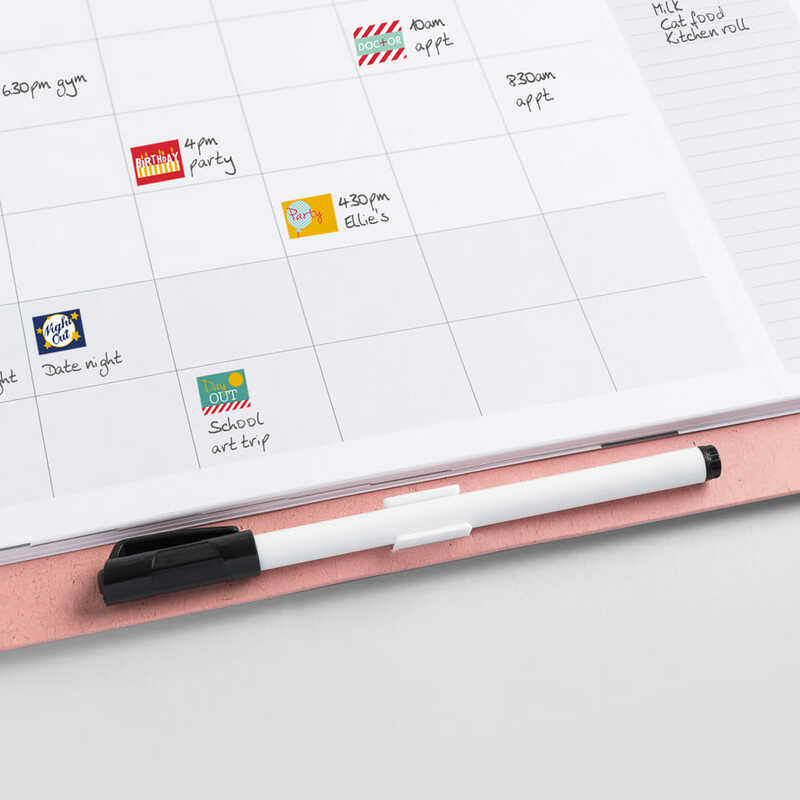 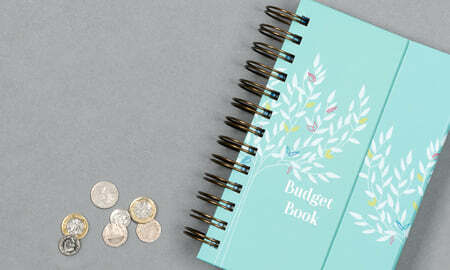 Make notes, write the shopping list and use colourful stickers to help important dates stand out. 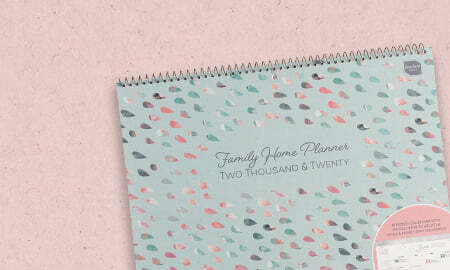 Perfect for a busy family! 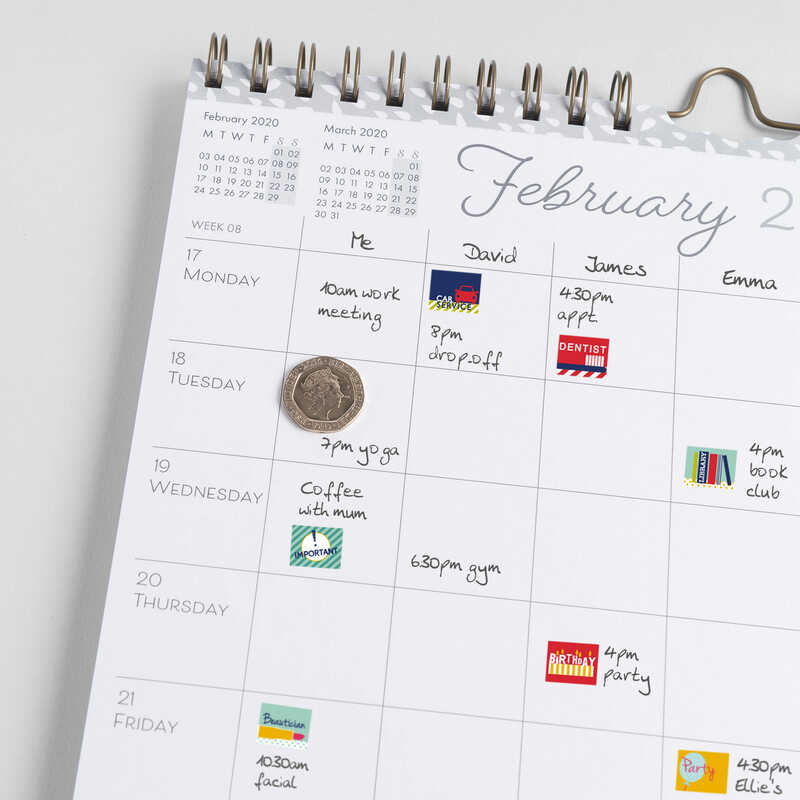 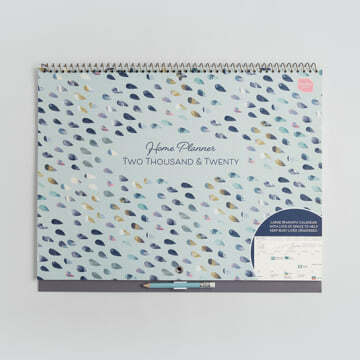 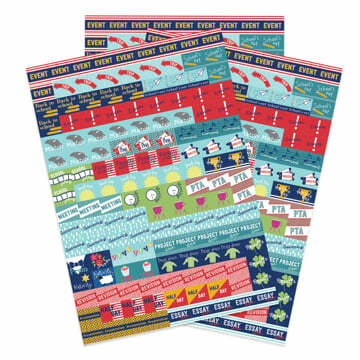 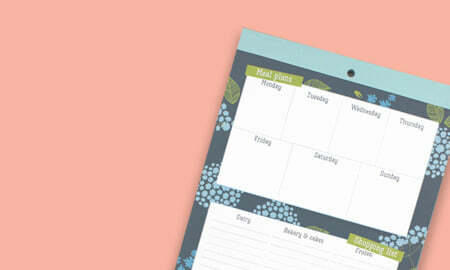 Get the whole family organised with this 16-month, six column week-to-view calendar. 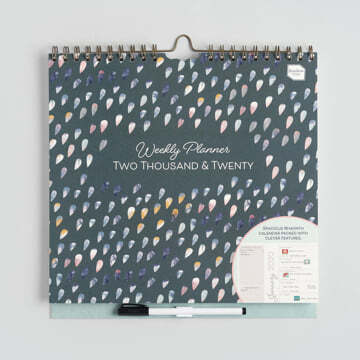 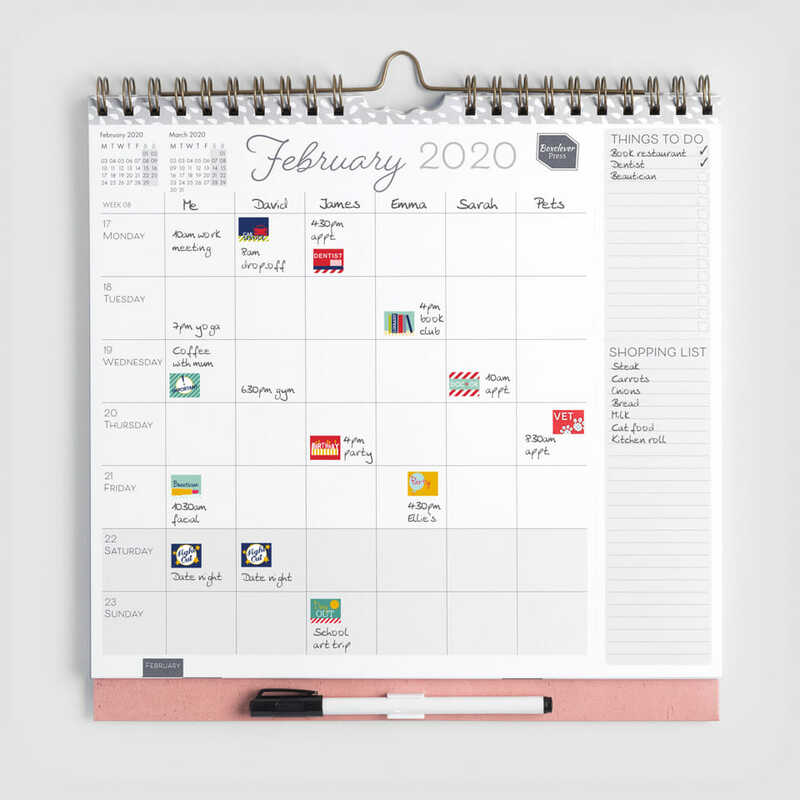 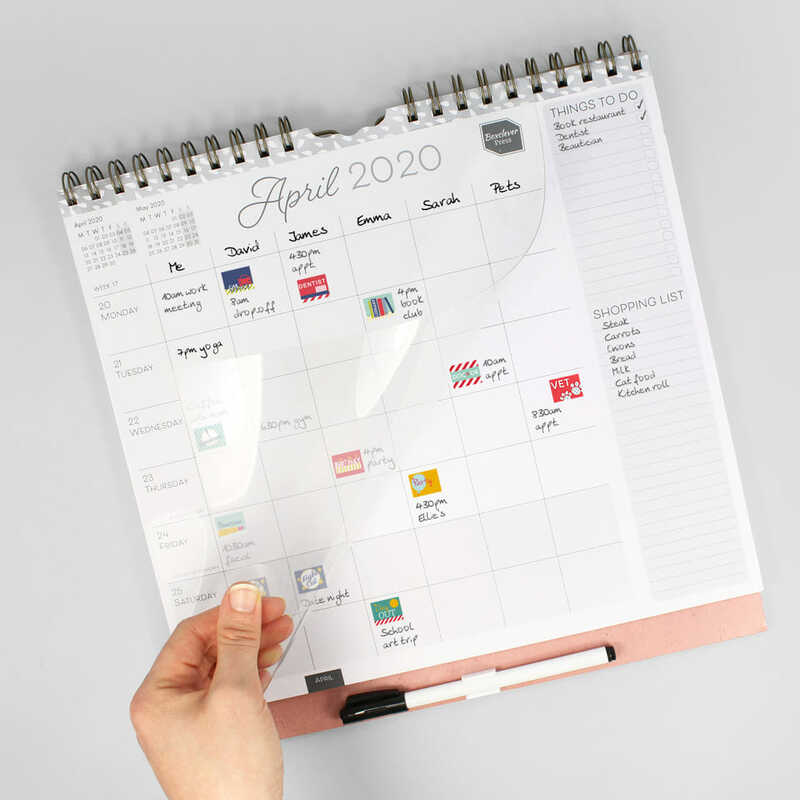 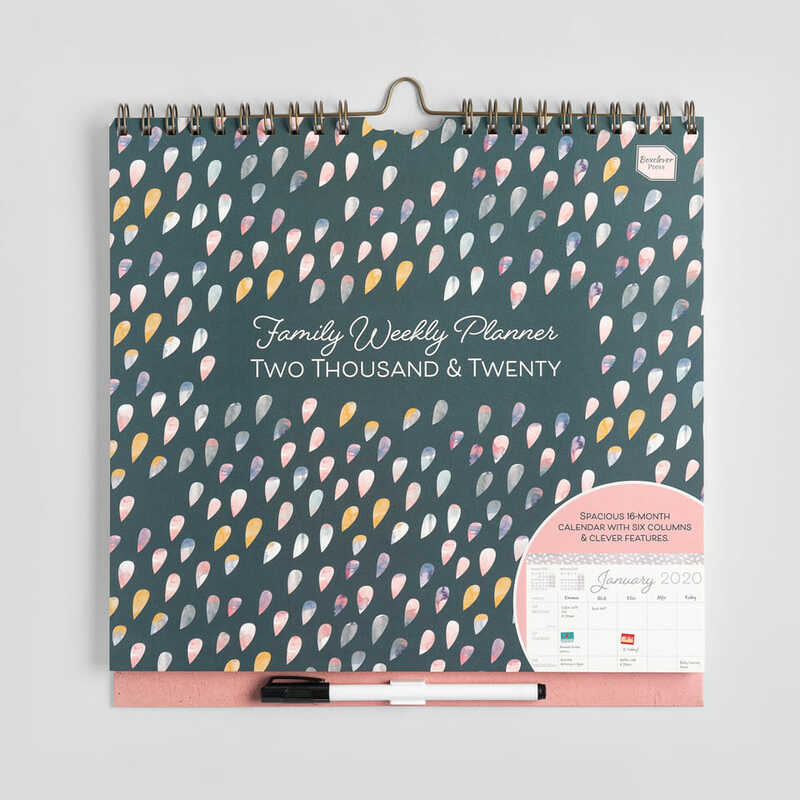 The helpful hub of a busy family home, the 2019 - 2020 Family Weekly Planner has lots of space to write appointments each day and recurring activities on the transferrable plastic overlay. 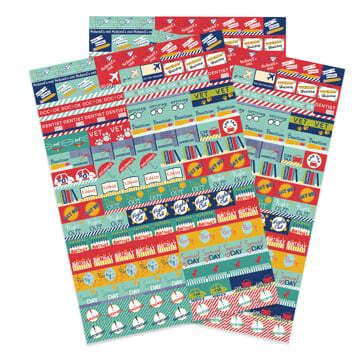 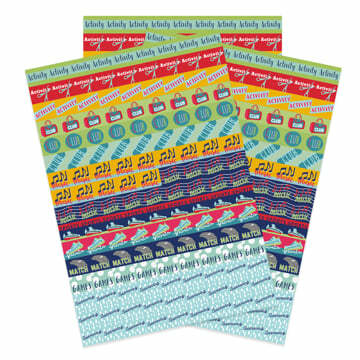 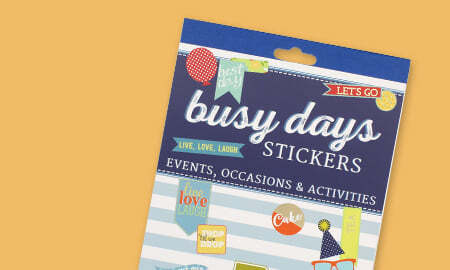 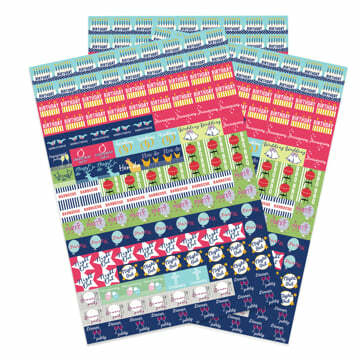 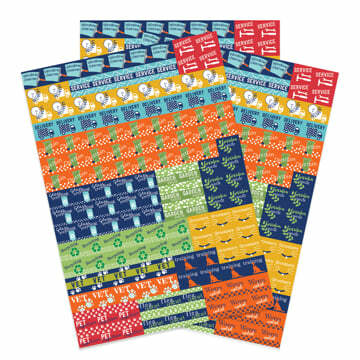 You'll love the brightly coloured reminder stickers too; they make the extra important dates stand out. 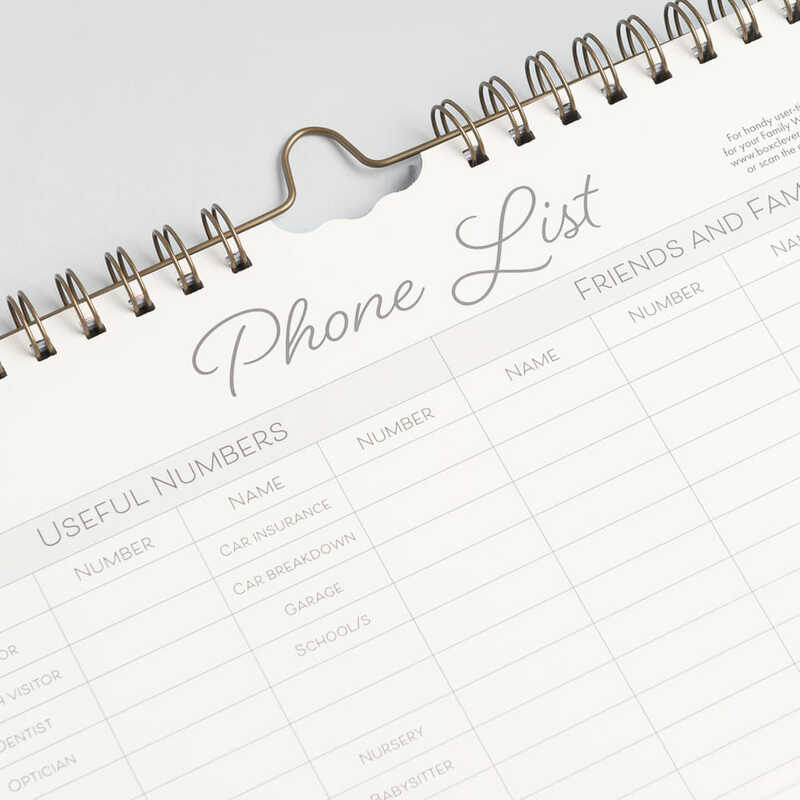 Write the shopping list, the to-do list, important numbers and even store loose paperwork for the whole family, in one convenient place. 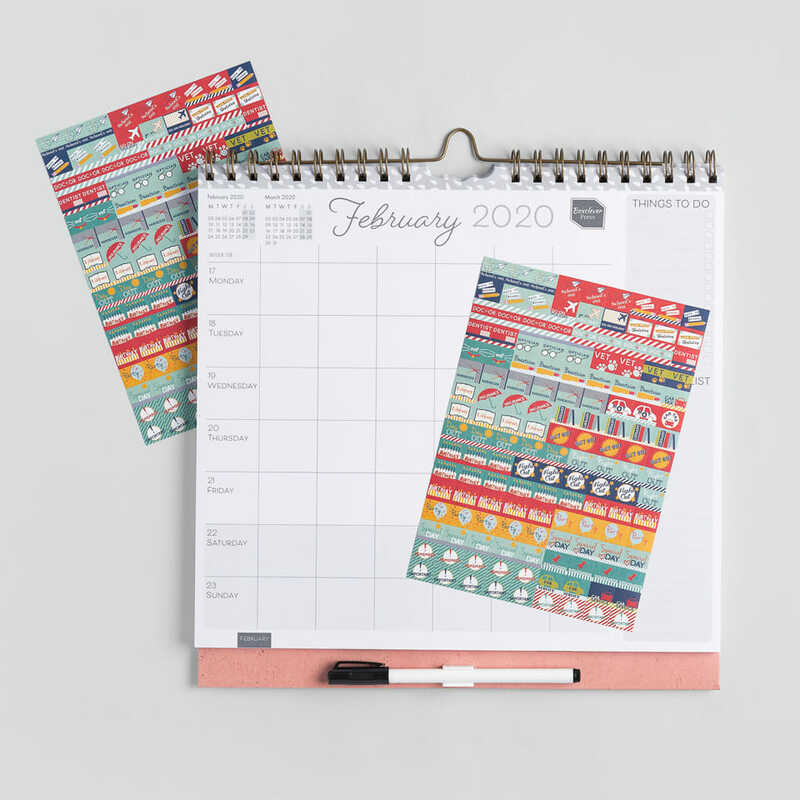 Great for planning family, work or even your pet's week!